If I could pick a country to visit tomorrow, I would definitely choose Iceland. I have this life-long affinity with this country eventhough I know so little about it. This post is in response to The Big Blog Exchange's question before, "Which are the most desirable countries for the exchange?" And of course, Iceland definitely tops my list. 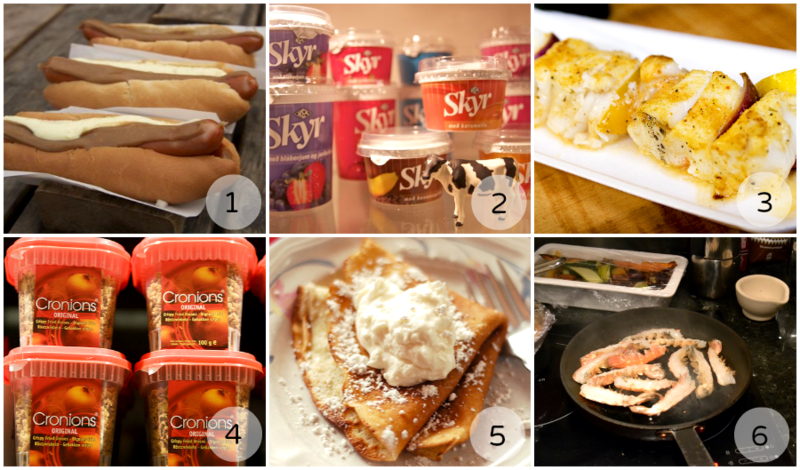 After laying out a list of the places I wanted to visit and some activites I wanted to do in Iceland, here's the second part of the things I will do when I get there: tasting their cuisine and experiencing some once in a life time ﻿﻿﻿﻿﻿﻿activities. Pylsur. This is basically Iceland's hotdogs. ﻿The only difference is that there's an additional ingredient besides the pork and beef -- lamb. According to some websites, that's what makes the hotdogs tastier than the usual. It was also highly suggested to order it in "eina með öllu," which meant one with everything, so that means hotdogs + ketchup + pylsusinnep (brown mustard) + cronions (see 4th item on the list) + raw onions + remoulade (tartar sauce like). Sounds delicious. Fish. The country being surrounded with vast waters, it is for sure that seafood is included in their menu. Fish are caught early in the morning and served fresh to consumers everyday. Cronions. The Nordic crispy fried onions that usually go with the hotdogs! This is a must have when you try the hotdogs, most people are left wanting more because of the crunch and texture given by these delicious salty bits! Pönnukökur. Also called the Icelandic pancakes but the thinness of this dessert also reminds me of a crepe. According to this website, the main differences of the 2 were the size (pönnukökur is smaller) and the texture. You want the recipe? Click here. Lobster. Another seafood worth the try. In the photo, the Icelandic lobster is being shallow fried and then it is to be served with lobster sauce. (via) Yum! ﻿This is the list of Icelandic delicacies I'd rather not try unless offered. I mean, it's totally impolite to turn down an offer by a local. Some people might be YOLO-ing and trying everything they get their hands on but in this case, I'd rather not. I like to eat but I'm not that adventurous with the food that I choose. svið. In plain English, sheep's head. It is singed, de-brained and boiled and served with scoops of mashed potato and mashed turnip. Whale and Puffin Miniburgers. I could not eat a whale. I could not eat a puffin. A puffin! Hákarl. Also known as the fermented shark meat which I believe is an acquired taste. Anthony Bourdain called this "the single worst, most disgusting and terrible tasting thing." Added to it's credentials, it made Chef Gordon Ramsay throw up after ingestion. See? It's an acquired taste. A whole lot of information about Hákarl and how it's prepared here. 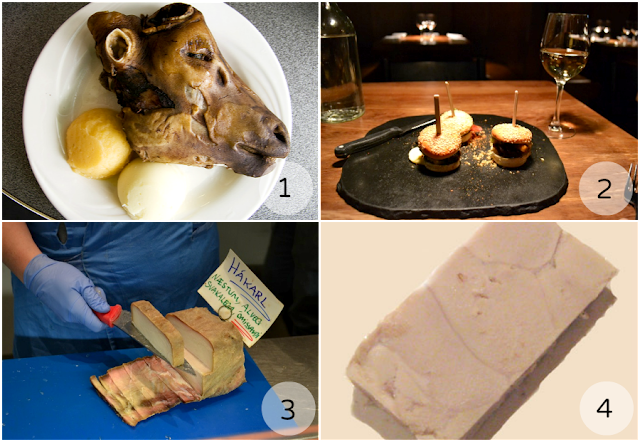 Restaurants I would like to visit are Tapas húsið, Grillmarkaðurinn (or Grill Market) and Hamborgarabúllan. 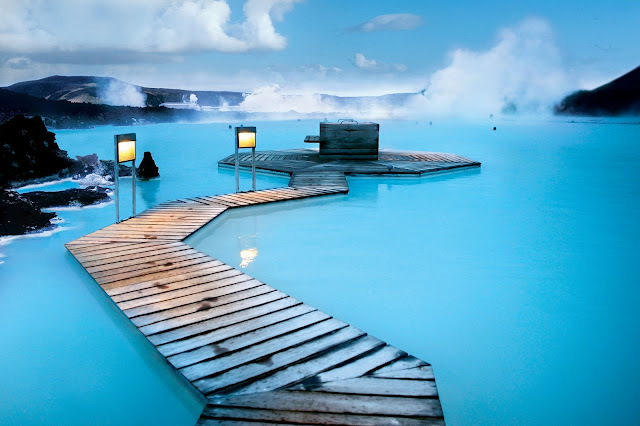 Spend an afternoon at the Blue Lagoon. Photo Credit: Theamazingbuzz.com. 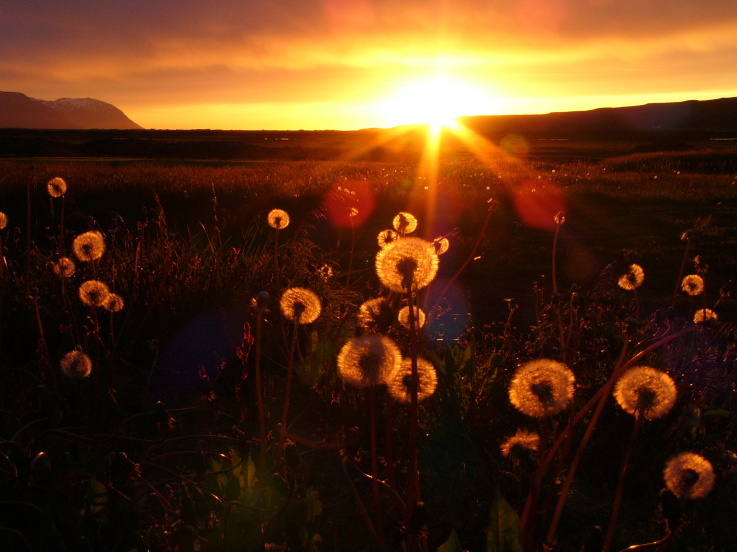 Experience the midnight sun. Photo Credit: Sean Moran. That caps off my list of things to do when one day, I get to visit Iceland. I had so much fun making this list because I learned a lot of things about this magnificent country. 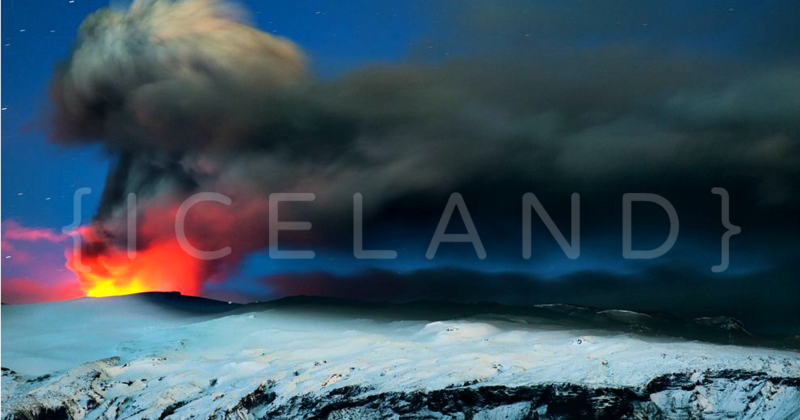 And lastly, here's a time lapse video of Iceland made by Joe Capra of Scientifantastic. Be inspired, hipnotized and amazed and you'll understand why I think Iceland is my wonderland. Iceland is incredible :) I saw this country in the The Amazing Race and it makes everyone want to go there. Indeed, Iceland is such a beauty. Thanks for taking the time to read. It is so beautiful. I would research about this! My top 2 must-visit places are Paris and New York. I know, I know. It's in everyone's list but seriously, I really want to go there. Hello, Tricia! Actually, my #2 must-visit place is either New York or California. And also, who wouldn't want to go to Paris?